We are delighted to announce that new two new areas are being covered in Ladybrand, Free State and Thabazimbi, Limpopo. As part of drive towards better service and legal compliance, Megs has gained membership status at ISPA. 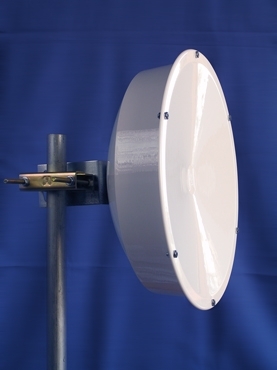 Megs now distributes high performance wireless antennas. Megs is proud to announce the imminent arrival of our high-performance microwave and Wi-Fi antennas. These units boast class leading technical specifications and competitive pricing. Please navigate to our products section for details. Least Cost Routing via Microwave, ADSL and Leased Line. ADSL wholesale bandwidth from SAT3/SAFE and Seacom. High availability solutions via ADSL, Leased line and Microwave. Cellular calls via Wi-Fi in your corporate environment. Megs is a private company that provides our clients with cost effective, practical business solutions engineered from advanced technological products and services. The company is owned and managed by South Africans who all have a technology and management background. The company was formed to meet the needs of small and medium size clients who have demanding Information and Communication technology requirements. Let us help connect your world!